West Penn Wire 12/2 Plenum-rated fire alarm cable has 0.015-Inch red PVC jacket to withstand harsh environmental conditions. The 0.09-Inch black/red PVC insulation resists electrical leakage and offers protection against environmental threats. It has 100% aluminum polyester shielding that reduces EMI/RFI interference/crosstalk. It has voltage rating of 300-Volts. This bare copper cable of diameter 0.239-Inch, has bend radius of 2.151-inches. It has 40 pF/ft capacitance and 1.8-Ohm/1000-ft resistance. 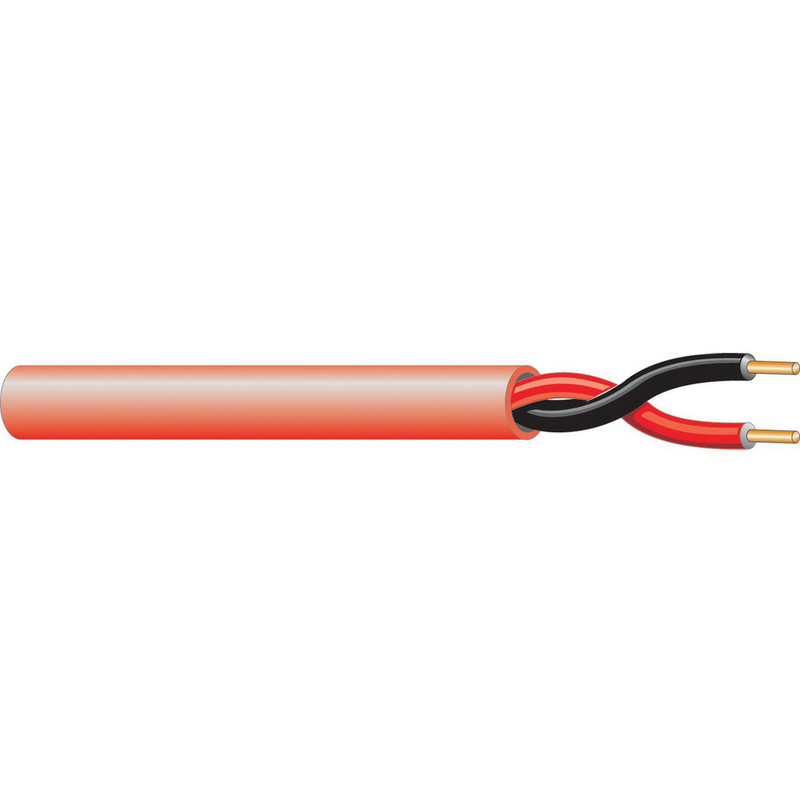 This cable withstands temperature range of -0 to 60 deg C. It is suitable for fire alarm circuits, initiating devices and notification devices. Cable is UL listed, RoHS compliant and meets NEC, NFPA 262 Plenum UL Flame Test standards.